Cases of online fraud are prevalent these days so one has to be very careful of his or her activities online. Most people do not know there are safe and unsafe sites even when their browsers keep warning them. Browsing on an unsafe site makes you and your computer vulnerable to attacks and hacks from those lazy guys who want to get rich over night. The good thing is that web browser developers have devised measures to curb these fraudulent acts by warning users. To know if you are browsing a secured or an unsecured website is very easy as all you need do is to be vigilant and observant. 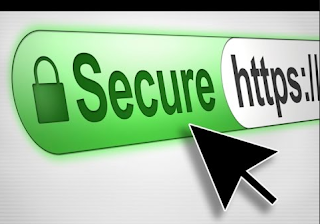 All you need do is look for the green https sign on your web browser address bar as seen on the screenshot below. If you can’t find this please do not pay online with your card on that website. Remember to stick with trusted and safe brands when online.